These Labor day weekend movies on Netflix are great to watch during Labor day weekend, a long weekend, or any time of year. 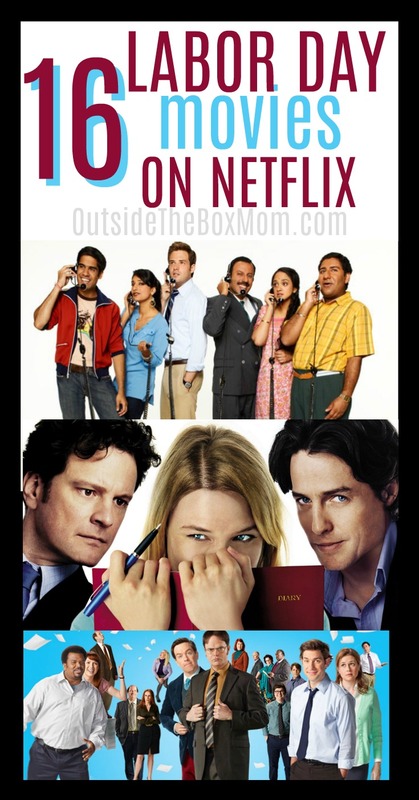 These Netflix titles feature comedies, TV series, period dramas, biopics, mockumentaries, reality TV series, autobiographies, and more. Wondering which movies to watch on Labor day? These movies include everything from comedies, TV series, period dramas, biopics, mockumentaries, reality TV series, autobiographies, and more. These are great selections to add to your Netflix list. These are all great movies that happen in a work environment, or where “the job” is a central part of the film. If you’re looking for a way to spend the Labor Day holiday weekend, you can’t go wrong here. The Office (TV Series) – The story of an office that faces closure when the company decides to downsize its branches. A documentary film crew follow staff and the manager David Brent as they continue their daily lives. The Office (UK TV Series) – a British mockumentary sitcom about the day-to-day lives of office employees in the Slough branch of the fictitious Wernham Hogg Paper Company. Undercover Boss – An American reality television series. Each episode depicts a person who has an upper-management position at a major business, deciding to go undercover as an entry-level employee to discover the faults in the company. Girl Boss – The show is based on Sophia Amoruso’s autobiography #Girlboss, which tells the story of how Amoruso started the company, Nasty Gal, while working as a campus safety host for San Francisco’s Academy of Art University. Cable Girls – Spanish period drama web television series. In 1928, a modern telecommunications company begins to operate in Madrid. The series tells the turn in life that four young women take when they move to Madrid to work for this company. The four of them feel attached to their families, their partners, or their memories. A New Economy – This film spotlights companies and individuals who are building a new economy by employing non-traditional business models that look beyond profit. Outsourced – A manager is sent to India to oversee a staff of customer service representatives. Hoffa – This Oscar-nominated biopic traces the rise of Jimmy Hoffa through labor’s ranks and takes a guess at what happened when Hoffa disappeared in 1975. Enron: The Smartest Guys in the Room – The fortunes of Houston-based Enron Corporation, which went from having $65 billion in assets to going bankrupt in less than a month, are chronicled. Mad Men – A drama about one of New York’s most prestigious ad agencies at the beginning of the 1960s, focusing on one of the firm’s most mysterious but extremely talented ad executives, Donald Draper. Requiem for the American Dream – Iconic intellectual Noam Chomsky states his case for how the bulk of America’s wealth and influence has been transferred to the hands of a few. Flash of Genius – Robert Kearns takes on the Detroit automakers who he claims stole his idea for the intermittent windshield wiper. Bridget Jones’s Diary – A British woman is determined to improve herself while she looks for love in a year in which she keeps a personal diary. Desk Set – Two extremely strong personalities clash over the computerization of a television network’s research department. Parks & Recreation – In this Emmy-nominated comedy, an employee with a rural Parks and Recreation department is full of energy and ideas but bogged down by bureaucracy. Ready for Start – This darkly comic series follows a group of employees as they navigate the highly competitive world of the advertising business. Do you have any favorite Labor Day weekend movies on Netflix?